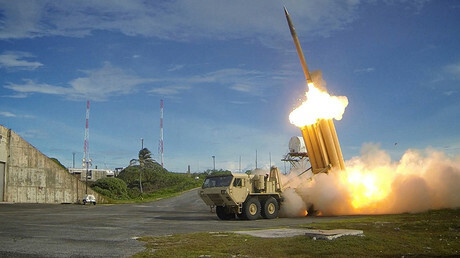 South Korea’s military has announced the location of its THAAD anti-missile defense system, intended to deter threats from North Korea. The plan, which greatly angered regional powers, has led thousands of Koreans on to the streets in protest. 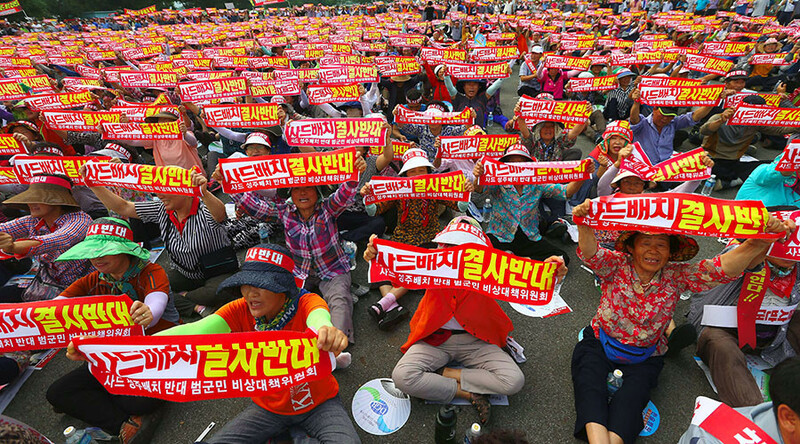 Some 3,000 people first took to the streets on Saturday, following the previous day’s announcement of the US-backed Terminal High-Altitude Area Defense System, or THAAD. This was in Chilgok County – thought to have been the likeliest of the locations. The protests have since spread. But on Wednesday the government revealed the location to be the county of Seongju, North Gyeongsang Province, about 135 miles (217km) southeast of Seoul. "South Korea and the US' joint working group have proposed the Seongju area, North Gyeongsang Province, as the optimal place for the deployment ... and the countries' defense ministers have approved it," the Ministry of National Defense's Deputy Minister for Policy Yoo Jeh-seung announced on Wednesday, Yonhap news agency reports. This led to no less than 5,000 farmers gathering in protest, according to Yonhap. Opposition continues to be so fierce that some officials have gone on hunger strikes. This was followed by the county’s Governor Kim Hang-gon writing a letter to Seoul in his own blood, as the attendees observed. “We oppose Thaad with our lives!” residents chanted, holding banners inscribed with the same words. “If we lose our precious land to Thaad, we will be ashamed before our ancestors and posterity,” the governor told those in attendance, comprised in large part of melon farmers. The county of about 50,000 provides 60 percent of South Korea’s melons. They also argue that the decision to place THAAD near their homes should be declared null and void as it was taken without “fair and transparent” consultation with the local government. "As we will feel sorry to our descendants and ancestors if we lose our land to THAAD, we will join forces to oppose the deployment of THAAD,” the governor said. A group of about 200, joined by the town’s leaders and governor, separated from the main 5,000 and boarded buses to Seoul. There they have been protesting since late afternoon outside the Convention Center. 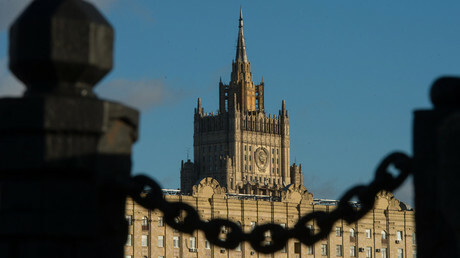 The compound is owned by the Defense Ministry. The US and South Korea hope to have the final battery installed by late 2017. 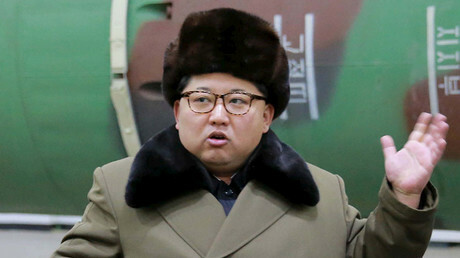 This latest wave of discontent could be a stick in that wheel, seeing how in the past such collective action over US bases normally led to prolonged difficulties for the government. Nevertheless, most South Koreans are in favor of THAAD, believing a threat from Pyongyang to be the big picture here. A number of people, however, continue to believe the system’s placement on their soil would serve to inflame tensions with North Korea and China even further. China continues to maintain that it is the system’s main target – not North Korea. Russia has also spoken out against THAAD, saying it would only lead to regional destabilization. Since last Friday’s announcement of the agreement, protests have taken place in every locality that was mentioned as a possible future location. The system’s current location will be atop a Seongju mountain near a South Korean Air Force radar and military base. The government decided on this location as it would allow the South to defend two-thirds of its territory from potential attacks by the North.